1. What would other people think? That’s how much money the average direct selling Associate leaves behind each year in unclaimed tax deductions. Take advantage of our great new service—Deductr—to make sure you don’t miss a thing. This online program is your business’ new best friend. Seriously. Deductr does all the hard work for you—you know, like calculating your business expenses, tracking your miles, organizing your receipts, and more. In fact, when you download the Deductr PRO mobile app (which is available on both iOS and Android), you can update on the go. Take a client to dinner? 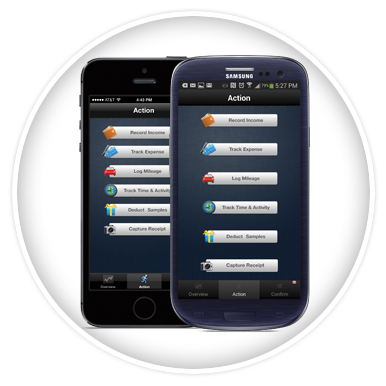 Instantly store a digital copy of your receipt with Deductr’s “Capture Receipts” feature. Have a business trip? Turn on your smartphone’s GPS and Deductr will track your mileage and time. Want to track your accounts? Simply link your credit cards, checking accounts, or business account to Deductr using our automated feature BankLINK, and voilà—all the information you need is right at your fingertips. Just log in your expenses as they come, and Deductr will estimate your tax savings—showing you a running total throughout the year. Come tax season, print out your year-end report with the click of a button, and you’re ready to meet with your tax advisor. Oh, and did we mention it’s available in English, Spanish, and French? All of that for only $6 US a month or $60 US a year. To sign up for Deductr, log on to the Hub and select My Business > Tools > Trusted Partners. Maximize your tax deductions and minimize tax-time stress—sign up for Deductr today and start keeping track of your business. * Deduction estimate based on unclaimed business mileage deductions by independent sales representatives who travel an average of 150 miles per week. Global health and wellness company USANA has received its 10th "Seal of Approval" from ConsumerLab.com for 2015 — proving yet again they are the leader in quality and trust in the nutrition market. The latest certification is for the revolutionary eye-care product Visionex®, which boasts powerful antioxidants found to protect and strengthen the retina. "I am ecstatic another one of our great products has received a Seal of Approval from ConsumerLab.com," says Dan Macuga, USANA's chief communications officer. "It has really been a banner year for our brand and we take pride in the quality of our products and the truthfulness of our labels. 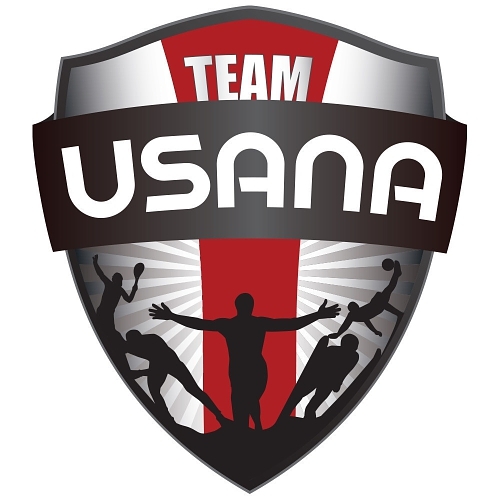 Having so many of our products recognized makes me proud to represent the USANA name." ConsumerLab.com is an independent assessor of the quality, purity and label accuracy of health and wellness products, putting each item through rigorous testing. To be awarded a Seal of Approval from ConsumerLab.com, USANA's Visionex supplement must contain 100 percent of the claimed amount of lutein and zeaxanthin used to keep eyes strong and healthy. Along with purity, Visionex was also tested for disintegration rate. "Recognition from ConsumerLab.com creates a sense of trust between USANA and its customers," says USANA's executive director of product development and technology, Dr. John Cuomo. "Visionex is our answer to protecting eyes from oxidative damage by incorporating two import and macular pigments, the carotenoids lutein and zeaxanthin along with Vitamin C to safeguard the delicate tissues of the eye from photo-oxidation and long-term wear." Along with Visionex, several other USANA supplements have been certified by ConsumerLab.com in 2015, including CoQuinone® 30, Active Calcium, Vitamin D, Pure Rest™, USANA® Probiotic , USANA® Essentials™, Usanimals™, BabyCare Prenatal Essentials and Body Rox™. Founded in 1992, USANA Health Sciences (NYSE: USNA) is a U.S.-based nutritional company that manufactures high-quality supplements and personal care and energy products in its FDA-registered facility in Salt Lake City. Learn more about USANA by visiting our web site http://www.usana.com or the official USANA blog http://whatsupusana.com. 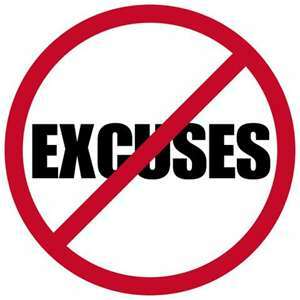 Most of us have no problem coming up with perfectly valid reasons for not taking action. 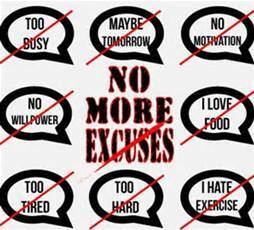 Our excuses may temporarily make us feel better, yet they do not bring any value to life. 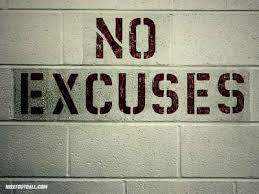 Excuses do not pay the bills, they do not solve problems, they just allow us to justify not taking action. Check back soon for Excuse Buster 4. I've learned ... That just one person saying to me, 'You've made my day!' makes my day! I've learned ... That having a child fall asleep in your arms is one of the most peaceful feelings in the world. I've learned ... That being kind is more important than being right. I've learned .. That you should never say no to a gift from a child. I've learned ....That I can always pray for someone when I don't have the strength to help him in any other way. I've learned ....That no matter how serious your life requires you to be, everyone needs a friend to act goofy with. I've learned ...That sometimes all a person needs is a hand to hold and a heart to understand. nights when I was a child did wonders for me as an adult. I've learned ....That life is like a roll of toilet paper.The closer it gets to the end, the faster it goes. I've learned ....That we should be glad God doesn't give us everything we ask for. I've learned ...That it's those small daily happenings that make life so spectacular. Listen for the Christmas bells! Show love today! In a newly published study of adults at high risk for heart disease, magnesium intake was inversely associated with cardiovascular, cancer and all-cause mortality. Previous research has shown that magnesium plays a role in normal blood pressure, helps inhibit platelet aggregation, modulates inflammation, and is important for normal vascular health. In a study published in the Journal of Nutrition, researchers sought to assess the association between magnesium intake and cardiovascular (CVD) and mortality risk in a Mediterranean population at high risk of heart disease. The study included 7,216 men and women aged 55-80 years that were at high risk of CVD. 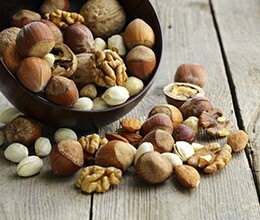 Participants were randomly assigned to Mediterranean diets supplemented with nuts or olive oil or a control low-fat diet. After an average follow-up time of about 5 years, there were 323 total deaths documented. Of those, there were 81 deaths from cardiovascular disease (stroke, heart attack, heart disease), and 130 deaths from cancer. Compared to lower consumers (average 312 mg/day), the subjects in the highest third of intake (average 442 mg/day) had a 59% reduced risk of death from CVD, a 37% decreased risk of death from cancer, and a 34% reduction in all-cause mortality. In this study of Mediterranean adults, high intakes of magnesium in the diet reduced overall mortality, and deaths from cardiovascular disease and cancer. It is estimated that only about 20-30% of U.S. adults are currently meeting the recommended intake of magnesium in their diets. Marta Guasch-Ferré et al. Dietary Magnesium Intake Is Inversely Associated with Mortality in Adults at High Cardiovascular Risk. First published November 20, 2013, doi: 10.3945/jn.113.183012. Check back soon for Excuse Buster #2. You might remember a few weeks ago we announced the retirement of the Fast Start and Professional Packs, and we’d be strengthening our remaining product-pack options. The result is the Healthy Foundation, Core Essentials, and Healthy Lifestyle Packs. The Healthy Foundation and Healthy Lifestyle Packs replace the Basic Business and Entrepreneur Packs, but include a new array of awesome products. As a part of this process, we’ve also adjusted the point thresholds your new teammates need to hit with their initial orders to earn benefits. These new packs are perfect for your new teammates. They help them experience the variety of award-winning products we offer, and earn them great benefits, too. It’s a win-win. P.S. Here's the updated USANA US Product Price List reflecting the above updates. You know how everyone from high school dropouts... to college kids... to waiters and waitresses... to doctors... and retirees are making money online these days? They're living the good life, leveraging the internet to generate an income even while they're "busy" enjoying other things. Ugh! Don't you wish you were one of them?? Are you afraid you have no experience, no time, and no chance for success? Well, call this a BREAKTHROUGH. Because we've got high school dropouts, college grads, men and women, young and old, experienced and inexperienced alike making serious money with us. They're all examples of lucky "sons o' guns" who are making it online. Why not join us and start building not just more income... but more time to enjoy it. Real people. A real business. Real results. See for yourself. P.S. 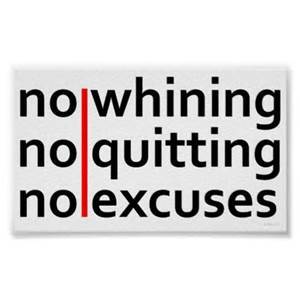 Are you wondering how it's possible to earn full time and even "fire your boss" income with just a part time effort? Then you can't afford to miss why this is the ultimate industry to be a part of. Six months from now... would you rather be in the exact same position you're in today? 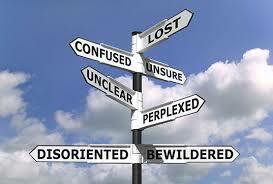 Or earning extra income every month with a simple business you just "recently" started? It's an easy answer isn't it? 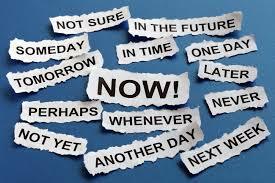 Right now, you have a GOLDEN opportunity to do something that can not only change your short term future, but your life as well. This opportunity is taking off and the long term potential is just HUGE for those who become a part of it. I'm living proof of what this business can do for you. So are all of the other regular men and women earning REAL income, month after month, aligned with this powerhouse company and our breakthrough system. It's all here. With us, you can work less... and earn more! P.P.S. Have a few minutes? Listen to our Business Opportunity call to learn more about our opportunity! When: The Top of Every Hour! Some people are searching for a "magic bullet" that will just end their money problems, and give them the lifestyle they dream about forever and forever. Essentially, they want everything... for nothing. The bad news, is that this magic bullet just doesn't exist. What does exist however, is a unique business that rewards ordinary people and honest work... with extraordinary results. The best part, is that the work required is simple and step-by-step, and you can leverage a proven online system that takes guessing, selling, and experience out of the equation. · Our products are generating extraordinary demand. · Our company is at the top of its industry. 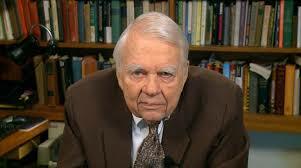 · And people just like you and me are cashing in on it! P.S. Our system works. It really does. Let us show you how you can turn a few hours per week into hundreds, even thousands of dollars a month doing something you enjoy! Research continues to show that a diet high in fiber may reduce the risk of heart disease and cancer and is beneficial for health. Cardiovascular disease (CVD) and cancer are among the leading causes of death in developed countries. Research has shown that a diet higher in fiber may provide health benefits specifically for these two conditions, however little is known about association of dietary fiber with other causes of death. Despite the lack of research it is believed that the health benefits of a diet high in fiber is not just limited to CVD and cancer, but may also provide health benefits through a number of other mechanisms. A recent European cohort study consisting of 452,717 volunteers, between the ages of ~25-70 at recruitment (mean = 50.8 years), provides further data to help learn about what other benefits fiber may have. The researchers in this study used a food frequency questionnaire and a seven day food record to determine the volunteers’ fiber intake (both soluble and insoluble forms of fiber were included). The average follow-up period was 12.7 years, during which 23,582 deaths occurred among the volunteer individuals. 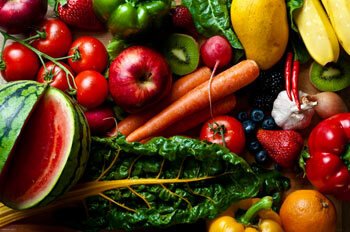 Analysis revealed a correlation between increased fiber intake and decreased mortality. 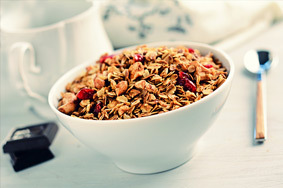 For every 10 gram/day increase in fiber there was a decrease in mortality of 10%. When looking at individual causes of death, the 10 g/day increase in fiber was linked to a decrease in death by 10% for circulatory diseases, 39% for digestive diseases, 23% for respiratory disease, and 14% for smoking-related cancers. These associations were consistent across Body Mass Index (BMI)and physical activity, but were stronger for those who were smokers and for those that consumed more than 18 g/day of alcohol. The results of this study continue to support the data showing that increased fiber intake is associated with a decreased risk of death from CVD and cancer. Additionally it shows that a correlation may also exist between fiber intake and death from digestive and respiratory diseases. This research supports the idea that a diet high in fiber is important for maintenance of overall health. Chuang S-chun, Norat T, Murphy N, et al. Fiber intake and total and cause-specific mortality in the European Prospective Investigation into Cancer and Nutrition cohort. Am J Clin Nutr. 2012;96(1):164-74. SALT LAKE CITY--(BUSINESS WIRE)--Dec. 8, 2015-- USANA Health Sciences, Inc. (NYSE: USNA) today announced that its Board of Directors has authorized an additional $100 million in funding for share repurchases by the Company of its outstanding common stock. As of December 4, 2015, the Company has repurchased approximately 456,790 shares during the fourth quarter of 2015 for a total investment of $61.2 million, which completes the Board of Directors’ previous share repurchase authorization. Repurchases may be made from time to time, in the open market, through block trades or otherwise. The number of shares to be purchased and the timing of purchases will be based on market conditions, the level of cash balances, general business opportunities, and other factors. USANA develops and manufactures high-quality nutritional supplements, healthy foods and personal care products that are sold directly to Associates and Preferred Customers throughout the United States, Canada, Australia, New Zealand,Hong Kong, China, Japan, Taiwan, South Korea, Singapore, Mexico, Malaysia, the Philippines, the Netherlands, the United Kingdom, Thailand, France, Belgium, Colombia and Indonesia. More information on USANA can be found at http://www.usanahealthsciences.com . This press release contains forward-looking statements within the meaning of Section 27A of the Securities Act and Section 21E of the Securities Exchange Act. Our actual results could differ materially from those projected in these forward-looking statements, which involve a number of risks and uncertainties, including global economic conditions generally, reliance upon our network of independent Associates, the governmental regulation of our products, manufacturing and marketing risks, adverse publicity risks, and risks associated with our international expansion. The contents of this release should be considered in conjunction with the risk factors, warnings, and cautionary statements that are contained in our most recent filings with the Securities and Exchange Commission. Age-Related Macular Degeneration (AMD) is the most common cause of vision loss in developed countries. This degenerative eye disease causes damage to the macula (central retina) of the eye, impairing central vision. People affected by AMD have difficulty reading, driving and performing activities that require clear central vision. Many factors contribute to the development of AMD, including aging, genetics, diet, and smoking. The macula is a yellow oval-shaped pigmented area located near the center of the retina. Structures within the macula are specialized to provide high-acuity vision. Lutein and zeaxanthin are found in high concentrations here, giving the macula its yellow color. This protective layer, known as macular pigment, filters harmful high-energy blue wavelengths of light preventing damage to the retina, cones, and rods. Numerous published studies have previously reported a link to intakes of lutein and zeaxanthin and AMD risk; however the research has been mostly inconsistent. In this newly published prospective study, researchers used two decades of data involving more than 100,000 participants from the Nurses’ Health Study and the Health Professionals Follow-up Study. All participants were aged 50 years or older and were free of diagnosed AMD, diabetes mellitus, cardiovascular disease, and cancer (except nonmelanoma skin cancer) at baseline. The researcher’s analyzed carotenoid intake based on dietary food frequency questionnaires at baseline and follow-up, and then calculated predicted plasma carotenoid scores. The results of this study found that participants with the highest average plasma lutein and zeaxanthin levels had a 40% reduced risk of developing advanced AMD compared to those with the lowest average levels. "Lutein and zeaxanthin form macular pigments that may protect against AMD by reducing oxidative stress, absorbing blue light, and stabilizing cell membranes," the authors explain. Dark green leafy vegetables are the primary dietary sources of lutein and zeaxanthin, but they are also found in some other colorful fruits and vegetables. Average dietary intake in the U.S. is only about 1-3 mg/day, far below the amount most studies indicate as a minimum needed to decrease risk of AMD. "Because other carotenoids may also have a protective role, a public health strategy of increasing the consumption of a wide variety of fruits and vegetables rich in carotenoids could be most beneficial and is compatible with current dietary guidelines," the authors conclude. SALT LAKE CITY, Dec. 1, 2015 /PRNewswire/ -- Health is key when you compete at the highest levels, which is why Sochi bronze medalist Alex Deibold, 30-time World Cup medalist Brittany Bowe, and 2015 World Cup Mass Start Champion Ivanie Blondin have teamed up with global nutritional company USANA Health Sciences as its newest Brand Ambassadors. 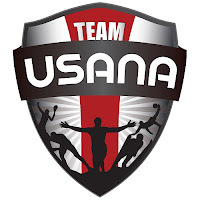 "Team USANA is composed of more than 700 elite athletes from around the world who trust their health to USANA and its NSF and LGC-tested nutritional products," said USANA Chief Communications Officer Dan Macuga. "To work alongside these extraordinary Olympians as they begin their respective seasons and journeys to PyeongChang is an honor and testament to what USANA stands for." Alex Deibold, U.S. SnowboardingFrom team wax technician to Sochi bronze medalist in a short four years, Deibold's steady performances and podium finishes on the World Cup circuit secured his place on the 2014 Olympic team. In a competitive field, the Vermont native went on to capture bronze in the Snowboard Cross event. "I'm really excited to join an elite group of athletes in partnering with USANA," said Deibold. "The level of hard work and integrity they put into their products is the same that I put into my athletic career, and I'm really looking forward to seeing what we can do together." Brittany Bowe, U.S. SpeedskatingAn inline skater her entire life, Bowe traded in her wheels for blades in 2010. Since transitioning to ice the U.S. speedskater competed at the 2014 Sochi Winter Games and has dominated the World Cup circuit setting world records in the 1000m and 1500m events and capturing more than two dozen podium finishes. Earlier this year, Bowe was named the 2015 World Sprint, 1500m and 1000m Champion, respectively. "In the sport of speedskating, the difference between winning and losing medals comes down to a fraction of a second," explained Bowe. "Being apart of Team USANA and having access to their world-class products give me the edge I need to stay on top." Ivanie Blondin, Speed Skating CanadaAfter converting from short track to long five years ago, Blondin made her Olympic debut in 2014 where she competed in the 3000m, 5000m Mass Start and Team Pursuit events. The Ontario native was named 2015 Speed Skating Canada's Long Track Athlete of the Year after taking home the World Cup Champion title in the Mass Start event last season. "As a high performance athlete, it is extremely important to have a sustainable diet rich in nutrients and full of fuel in order to train and compete at an elite level," said Blondin. "USANA products are extremely reliable, clean and the perfect way to attain my daily healthy diet. Their products have helped me achieve and maintain great results throughout my career." USANA is the Official Nutritional Supplement of the U.S. Ski and Snowboard Association, U.S. Speedskating, and Speed Skating Canada. **The mentioned athletes are either distributors or dedicated users who have received compensation for their partnership and/or complimentary USANA products. About USANAFounded in 1992, USANA Health Sciences (NYSE: USNA) is a U.S.-based nutritional company that manufactures high-quality supplements, personal care and healthy products in its FDA-registered facility in Salt Lake City. Learn more about USANA by visiting our website http://www.usana.com or the official USANA blog http://whatsupusana.com.